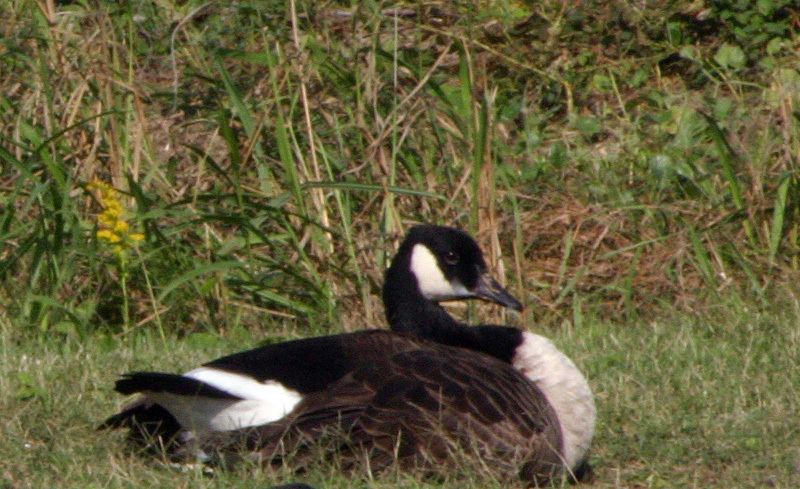 The Canada Goose (Branta canadensis) is a large goose that is identified by its black head and neck and a white chinstrap. They have grayish brown wings, backs, sides, and breasts, as well as black tails, feet, legs, and bills. The males tend to be larger than females. They range from 20 to 48 inches in length and weigh between 3 and 13 pounds. They can fly from 10 to 50 miles per hour. There are at least 11 recognized subspecies of the Canada Goose, and they are found in every US state. 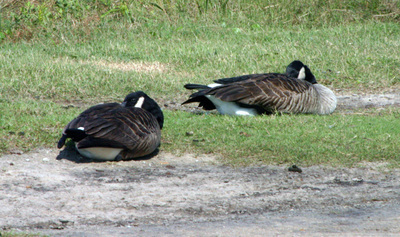 The lifespan of a Canada Goose is estimated to be 10-25 years, but there are reports of some geese living to 30 years or more. Most geese die in the first year, however, due to predation. They are monogamous throughout their lives until their mate dies. 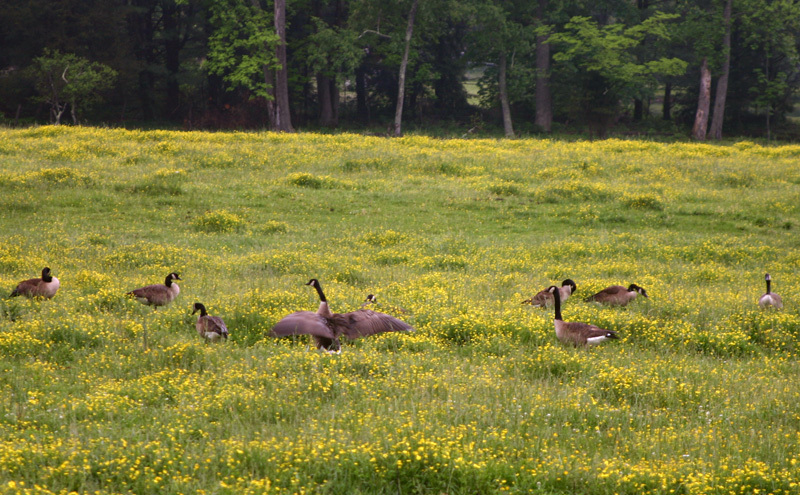 Canada Geese are grazers and feed mostly on plants, grains, seeds, aquatic vegetation, and other plant material. They are often seen in corn, wheat, and soybean fields and in other open areas. Canada Geese are well-recognized for their large V-shaped flocks as they migrate south in the fall and north during the spring. Canada Geese are managed by the US Fish and Wildlife Service as a game bird. They were nearly extirpated in the early 1900s, but have recovered to the point that they have become a nuisance species in some areas. Click on the player below to hear the Canada Goose.